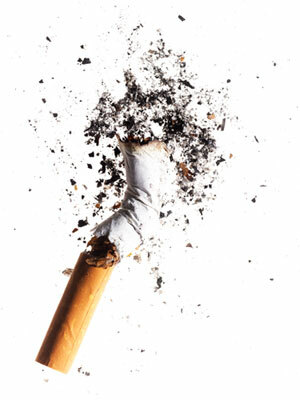 Events like World No Tobacco Day 2013 very often cajole more people into making the decision to quit nicotine for good and lead healthier lives. Taking the appropriate medical help and counselling to do so is a brave thing, though as with any sort of addiction it can take time to recover fully, with some people experiencing relapses or periods of doubt and anxiety before they fully conquer their habit. It’s important to remember that these feelings and experiences are completely normal and will, ultimately only serve to make you stronger. However, while you’re in the process of stopping, it can be really good to start to look into a really good skincare regime to help you feel better about your skin and recognise that there are things you can do to help with the signs of ageing, caused by smoking. Cleanse, tone, moisturise: Twice a day, without fail. Using a product like Clarisonic, alongside whichever products you use to clean your skin with can make all the difference to a skin which is dull, lackluster and sallow. It will work to deeply clean, without leaving the epidermis parched and dry and it will also allow your skin to better absorb the nutrients from the moisturisers, serums you will apply afterwards. Exfoliation: Regular exfoliation with a gentle exfoliant (either granular or non-granular) will help the skin’s cell turnover rate. One of the biggest reasons for skin to look dull is lack of exfoliation. It is no good buying really good quality skincare and then applying it to an older skin surface which hasn’t been exfoliated properly. Using a scrub twice a week will encourage the skin to look youthful and get the most out of the products you use. Masks and treatments: These provide nourishment and moisture to a skin that has been dried by the effects of tobacco in the atmosphere. After exfoliation, apply a rich, nutrient dense face mask to the skin and relax for a good twenty minutes to really let the skin accept the benefits of the ingredients. These are great to provide an instant boost and plumpness to the epidermis. Internal as well as external hydration: The moisture that we apply to the skin is one thing, but years of smoking may well have left you internally dehydrated too. It’s important to remember to drink two liters of water a day (remember this includes the fluids from the fruits and vegetables you consume as part of a healthy diet). Another great way of giving your skin an internal moisture boost is to incorporate cold pressed oils into your diet. Looking at taking an Omega 3 oil supplement, or even just adding a tablespoon of flax seed oil into a salad dressing or into a fruit smoothie can actually do wonders to boost your skin’s moisture levels and improve its elasticity.